WILLIAMS There are 30 products. 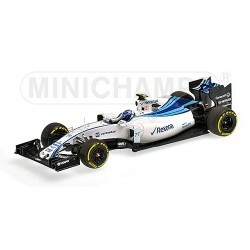 MINICHAMPS scale 1/43rd : Williams Martini Racing Mercedes FW37 Valtteri Bottas Abu Dhabi GP 2015. Limited edition 320pcs. MINICHAMPS scale 1/43rd : Williams Martini Racing Mercedes FW37 Felipe Massa Abu Dhabi GP 2015. Limited edition 320pcs. 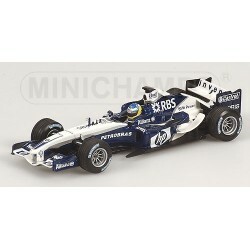 MINICHAMPS scale 1/43 : Williams BMW FW27 Nick Heidfeld 2005. 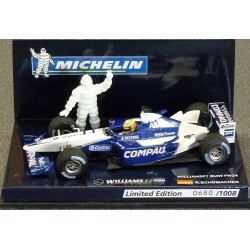 MINICHAMPS MICHELIN COLLECTION scale 1/43rd : Williams F1 BMW FW24 R.Schumacher. Limited edition nr. 680/1008pcs. 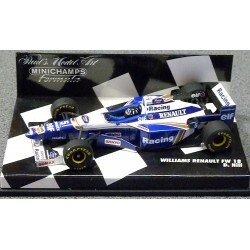 MINICHAMPS scale 1/43rd : Williams Renault FW18 Damon Hill 1996. 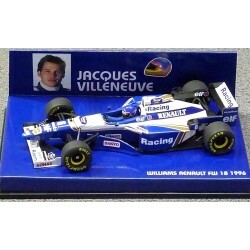 MINICHAMPS scale 1/43rd : Williams Renault FW18 Jacques Villeneuve 1996. 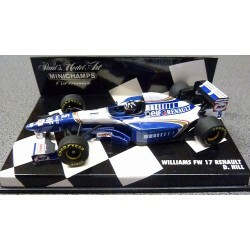 MINICHAMPS scale 1/43rd : Williams Renault FW17 Damon HILL 1995. 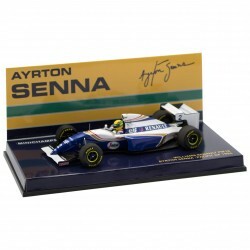 MINICHAMPS AYRTON SENNA COLLECTION scale 1/43 : Williams Renault FW16 Ayrton Senna Pacific GP 1994. 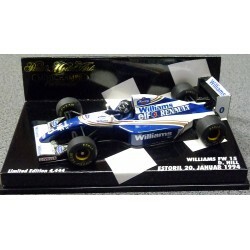 MINICHAMPS scale 1/43rd : Williams FW15 Damon Hill, Estoril January 20th, 1994. Limited edition 4444pcs.